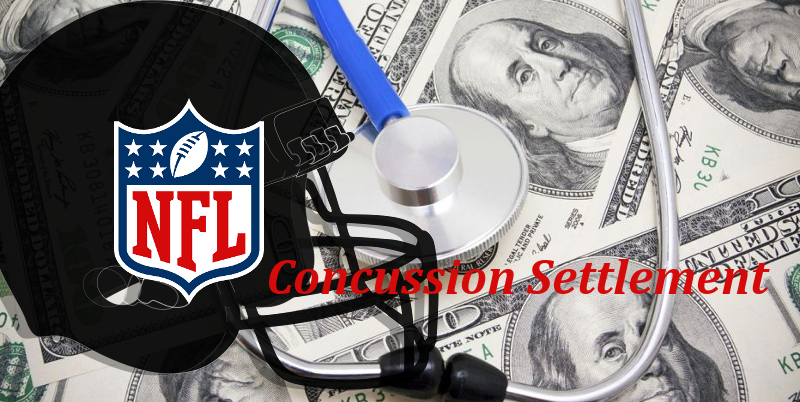 As the time for registration in the NFL concussion settlement winds down, claims are beginning to be processed and opt-out complaints are moving forward. I reported in April about the legal “feeding frenzy” that is taking place as attorneys vie for fees in the settlement; new liens are filed daily and now number in the hundreds if not thousands. But as I touched on in the April article attorney fees are not the only deduction that players and their families can expect to see subtracted from their settlement awards. Players who are now over 65 or receiving Social Security Disability and are covered by Medicare, or those who qualify for Medicaid will see reimbursement to these government programs deducted from their awards as well. Until recently little has been said about the medical liens, but as payouts become imminent, many retirees and their families have become apprehensive regarding how much if any of their settlement award they will receive. A declaration from the Garretson Group included with a status report to Judge Brody last month described progress in the areas of BAP and Medicare offset resolution but the most comprehensive information to surface thus far is in an email to Liz Nicholson-Sullivan from Class Counsel Seeger-Weiss, which Advocacy for Fairness in Sports obtained. The Court appointed Lien Resolution Administrator (LRA) has negotiated limitations on recovery of Medicare Part A and/or Part B liens. The LRA has secured Medicare’s agreement to not assert any reimbursement obligation against Settlement Class Members whose last season played is prior to 1980. In addition, the LRA has secured fixed repayment values to satisfy Medicare’s Part A and/or Part B recovery claims associated with Settlement Class Members who are or were entitled to benefits under Medicare and are awarded compensation for a Qualifying Diagnosis of Level 1.5 Neurocognitive Impairment and/or Level 2 Neurocognitive Impairment, which are expected to be the most frequent Qualifying Diagnoses. A Settlement Class Member with a Qualifying Diagnosis of Level 1.5 Neurocognitive Impairment will have a maximum Medicare reimbursement amount of $1,818.04. A Settlement Class Member with a Qualifying Diagnosis of Level 2 Neurocognitive Impairment will have a maximum Medicare reimbursement amount of $2,193.49. With respect to Medicare-entitled Settlement Class Members awarded compensation for the other Qualifying Diagnoses, Medicare has agreed to resolve its Medicare Part A and Part B recovery claims through a modified traditional recovery demand process. Under this process, the LRA secures claims on an individual basis from Medicare’s recovery contractor to identify the exact amounts Medicare has paid on behalf of a Settlement Class Member. The LRA then audits each claim to ensure that only medical expenses related to the compensable injury from the date of injury through the date of settlement are included in the repayment obligation. Medicare has agreed to modify its traditional recovery demand process to allow (but not require) Settlement Class Members whose Medicare reimbursement obligation is high to accept a compromise and reduced reimbursement obligation with a percentage cap based on the gross amount of any award. Settlement Class Members will also have the option to pursue Medicare administrative remedies based on certain criteria. Upon request, the LRA can file a hardship request that asks Medicare to either compromise (or reduce) the reimbursement amount owed or to waive the reimbursement amount entirely, depending on the individual facts of the case, such as the Settlement Class Member’s financial situation, the impact that his Qualifying Diagnosis has had on the Settlement Class Member, and any other information that might demonstrate why Medicare should be willing to compromise or waive the amount it is owed. If your husband is receiving Medicare Part A and/or Part B benefits or has in the past, please do not contact Medicare regarding any potential reimbursement obligations. Doing so could trigger duplicate recovery efforts (i.e., an additional case may be established when the LRA is already addressing these obligations). If you’d like to discuss lien resolution in more detail, you can reach out to the LRA at NFLLiens@garretsongroup.com. The Medicare/Medicaid offsets of $1,818.04 – $2,193.49 for those suffering from dementia seem reasonable and these figures are probably welcome news for many in that category. For those suffering from ALS or Parkinson’s Disease, the numbers are less straightforward, since care for these diseases is very expensive and can easily run into the hundreds of thousands of dollars. It does appear, however that a plan for working with the players and their families has been navigated and in some instances fees may be reduced. That said, negotiating with the government is typically not the easiest of tasks. Some players have had questions regarding what can come out of an award. The most common deductions will be of course legal fees/liens and medical offsets but these are not the only potential deductions from the awards. Anything owed the IRS will also be deducted (although an offer in compromise may be presented), back child support and any other government or court issued obligation. Additionally those who have signed up for a claims service or have taken a loan on anticipated award money will see these items deducted from their pay-out as well. Ken Belson’s New York Times article offers a very clear picture of the number and types of predatory schemes brain-damaged players are being forced to navigate, including pitches from a few former NFL players who have been paid by these firms to do their bidding. Some class members have even been wined and dined, then coerced to sign on the dotted line. Players or family members reptesenting them who feel they’ve been pressured or misled into doing business with a potentially predatory service or lender should contact case counsel or the special masters appointed by the court to oversee and administrate the settlement.